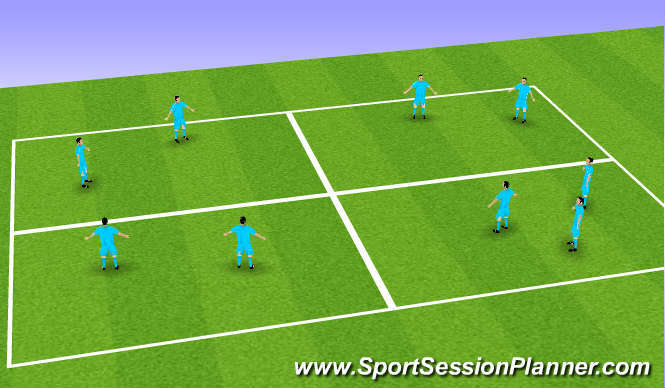 Two touch passing different surfaces, pass forward and move to another square. At all times keep same number in the squares. 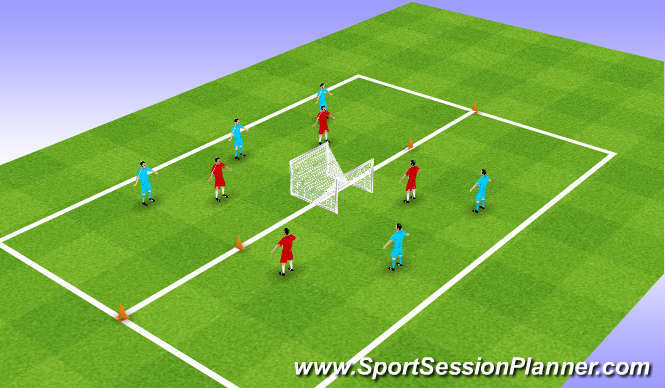 Passing in rotation 1-2-3 etc, having passed the ball, move into another square. Passing and Linking through the gates equals 1 point. First to 10 best of 3. 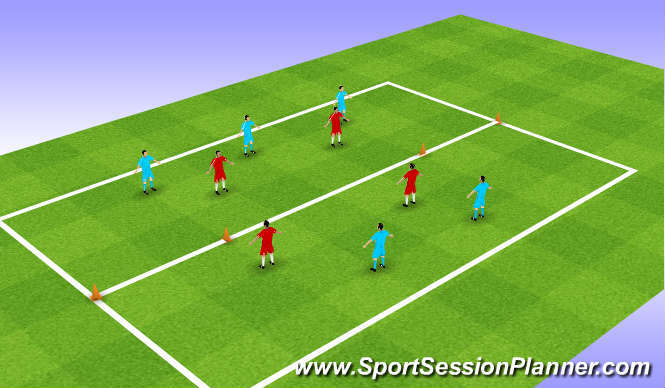 The 2v2 half have to link through gate 1 then gate 2, then pass into opposite half to score. can be reversed. Two sides can link across half way line. Quality of passing, different surfaces, vision. Movement, shooting, tackling, P.S.B. Creation and use of space in moving the ball through from attacking midd to front 1/3rd. Speed endurance anaerobic work. balance. timing. co-ordination. Communication, the practices &apos;lend&apos; themselves for the players to talk to each other to &apos;understand&apos;. Excelentwork from all the players.